More schools are encouraging the use of smartphone apps for homework, while parents have expressed concern, saying that without parental supervision, children will secretly play games. Others said it can help students do homework more efficiently, according to news site the Guangming Daily. Doing homework on apps is common in primary and junior education now, with apps similar to games in which you complete different levels and move to the next. The system automatically marks the work and goes to the next stage. Some parents said apps can help them to guide their children in study, since the work is systematic and children will not repeat tasks. The apps are more appealing, so children will spend more time studying. Others said that children have weak self-control, and will play games instead. Moreover, staring at screens for a long time is harmful to the eyes. 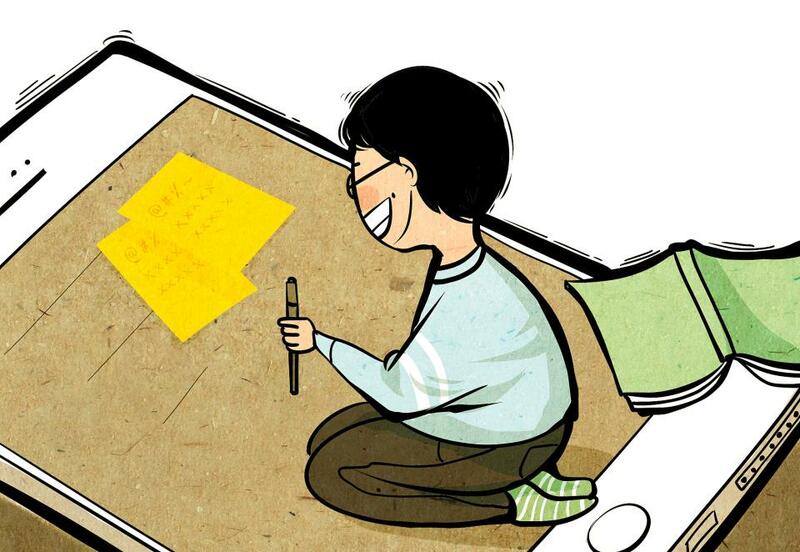 Xiong Bingqi, deputy director of the 21st Century Education Research Institute in Beijing, said that even without homework apps, students often waste time on smartphones or tablets. If apps are used for homework, parents and schools should guide children on their correct use, rather than banning smartphones altogether. Parents should be more involved with their children when they do their homework, he said. The apps could be set so they log off after a certain time, to prevent them being used for too long. Parents should also help their children learn how to manage their time, as there will always be temptations in life.